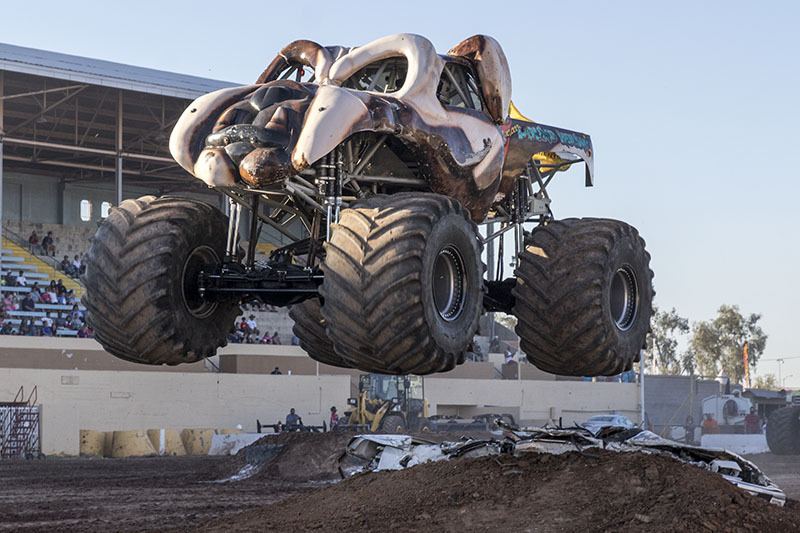 This time on “The Allen Report”, we return to the Arizona State Fairgrounds, where just two weeks earlier a thrill show co-starring a flame throwing jet car and the kid captivating Transaurus took place alongside the monster trucks. 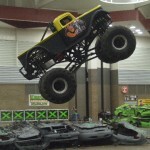 All Star Motorsport Productions, promoter of the thrill shows, also came back for this weekend. 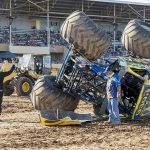 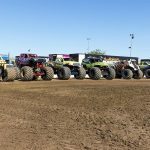 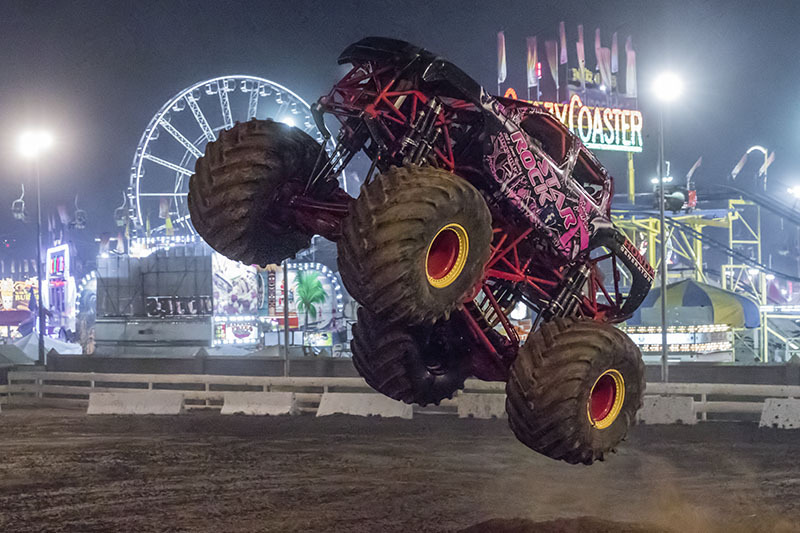 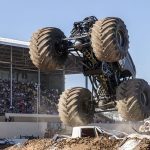 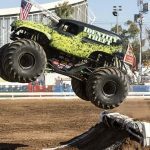 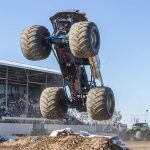 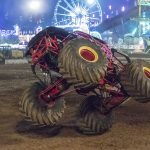 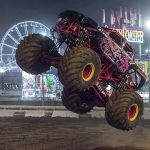 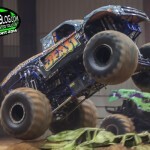 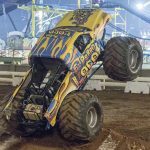 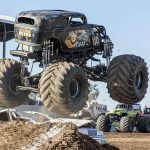 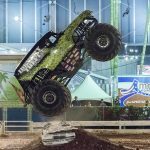 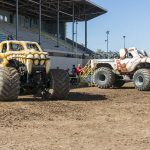 But unlike the events of earlier in October, this was a tried and true, full on monster truck show with six five ton, high horsepower mechanical beasts having the spotlight all to themselves on the fair’s final weekend for the year. 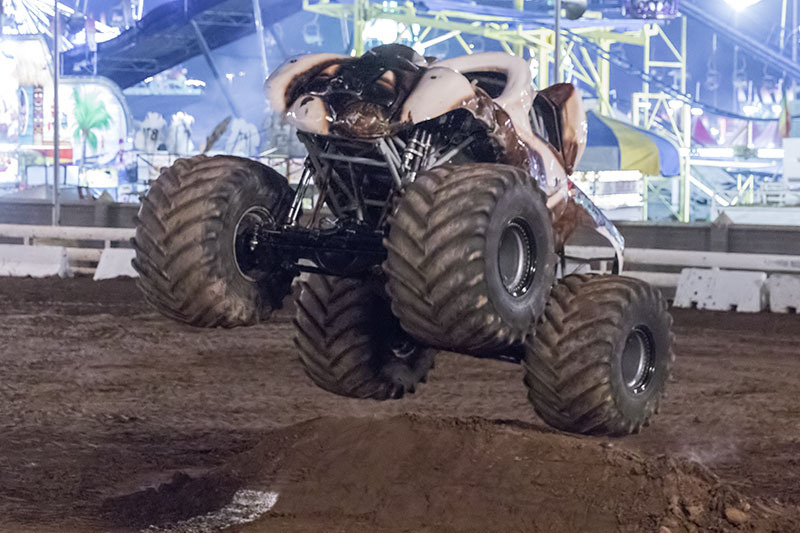 Throughout each show, the monsters would participate in Best Trick competition, single run obstacle course racing against the clock and no time limit, no holding back freestyle. 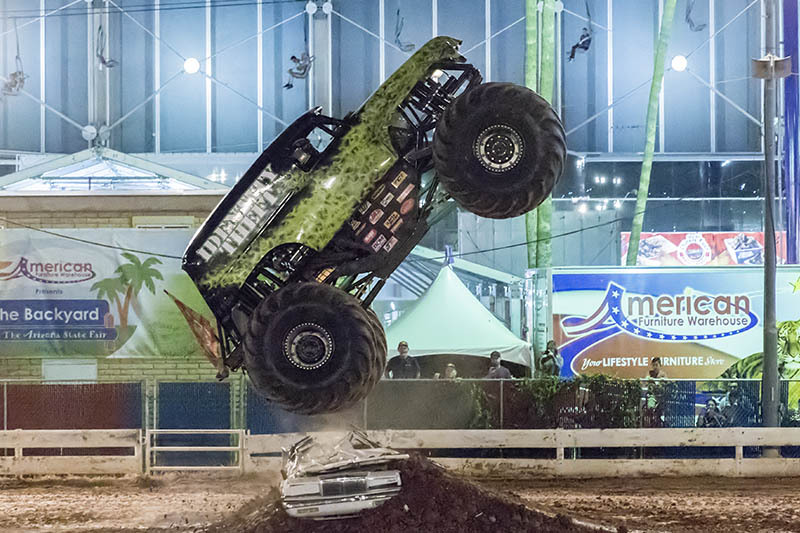 Points were on the line for each competition and the truck with the highest number of points at the end of the show would be crowned the Overall Event Champion. 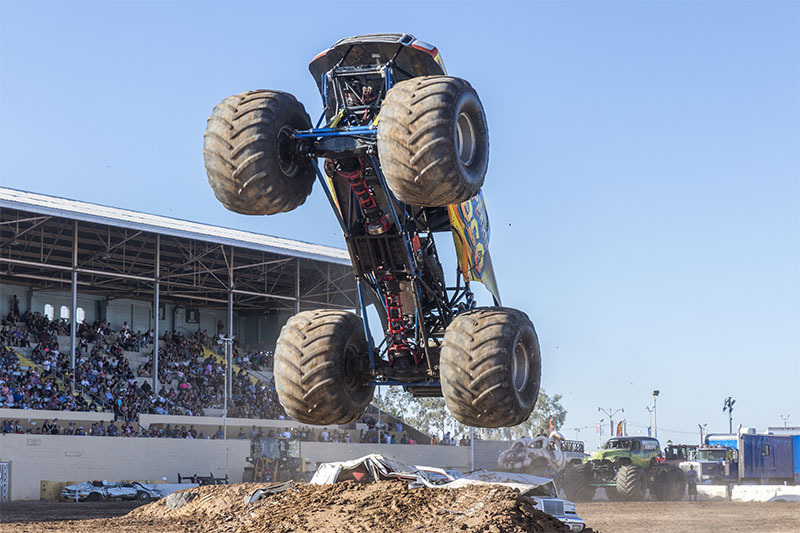 As the weekend would go by, result trackers would count the number of Overall wins per monster with the competitor who had obtained the most Overall wins receiving the distinction of Arizona State Fair Champion. 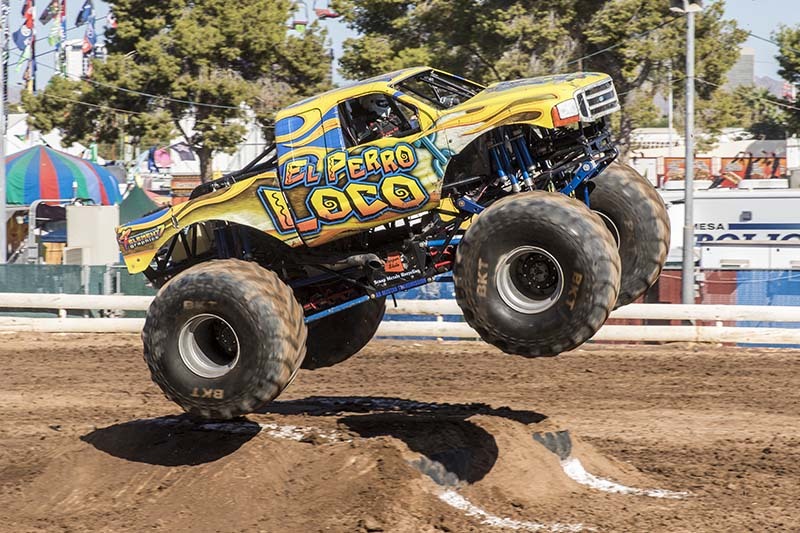 Representing the home state was Marana’s El Perro Loco (translation – The Crazy Dog) with Murph McCrorey behind the wheel. 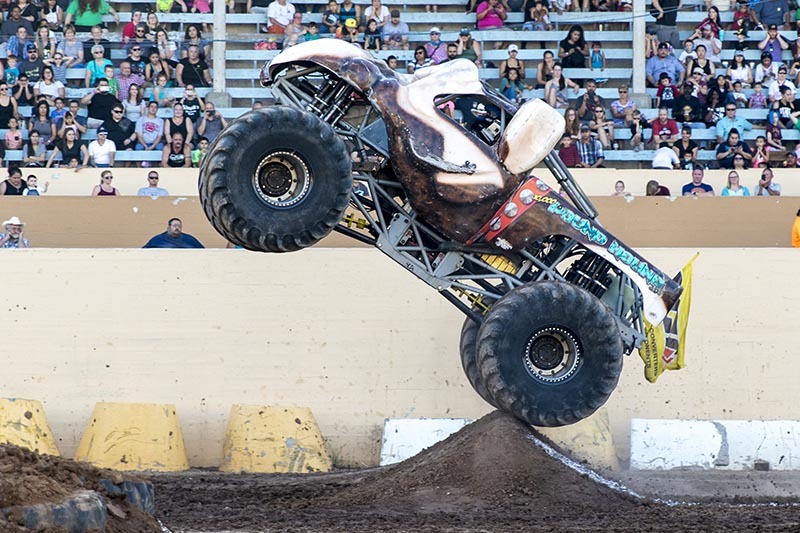 Murph is the stepson of team owner Rod Wood and his tendency to drive like a madman in night shows garnered him the nickname “Werewolf”, a moniker he would live up to equally under the sun and after dark over the days this weekend. 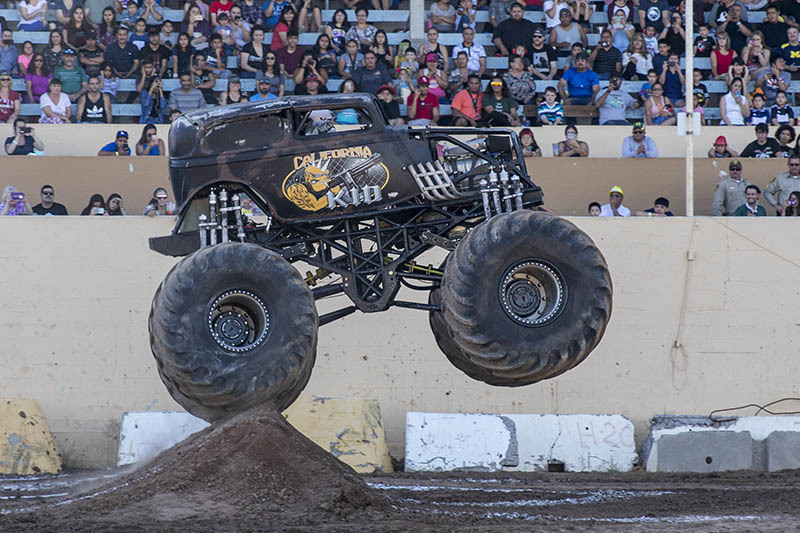 To make the truck sound as different as possible from McGruff two weeks earlier, the event announcers billed the truck from Ensenada, Baja, Mexico and had spent years dominating the Mexican circuit before crossing into the USA. 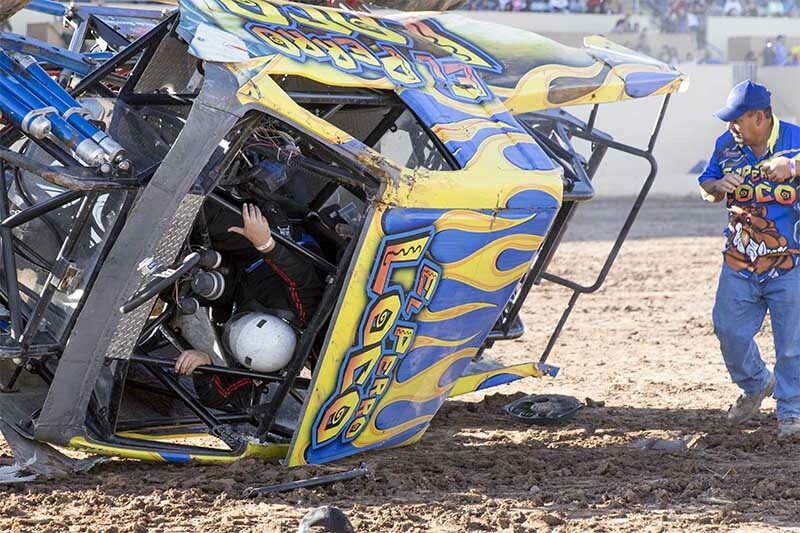 The rest of the field consisted of the entire Straight Up Racing team. 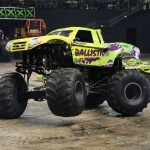 Team co-founder and leader Bill Payne took the wheel of his trusty Rock Star. 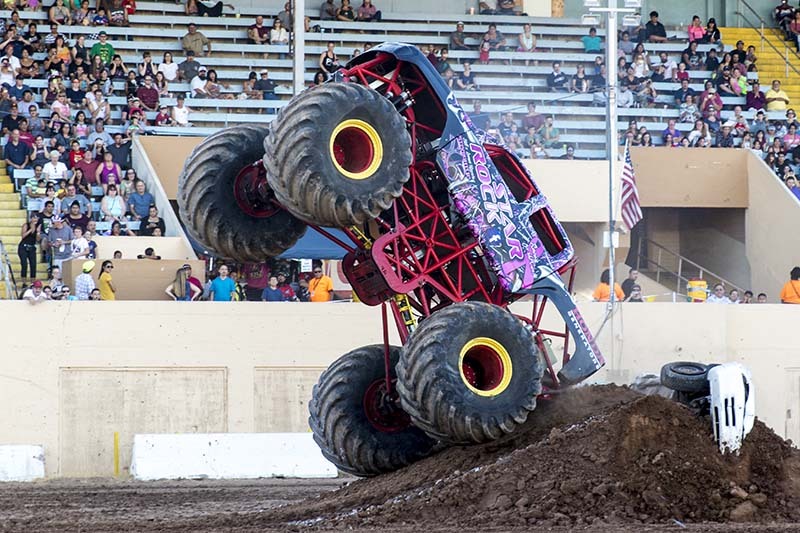 Gabe Montoya was ready to attack the track as the pilot of Reverse Racer, where the body is turned around one hundred and eighty degrees to make it look like the truck is always going the wrong way. 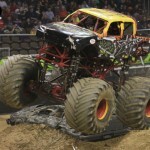 Next in line was the vicious looking 10,000 Pound Hound to be driven by Nick Jones. 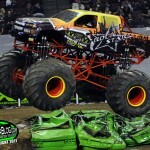 Not far behind was Ezra Wilson in the Identity Theft. 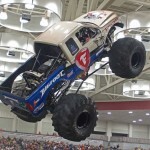 The fifth and final truck in the stable was the monster hot rod California Kid, controlled by Dallas Glen Rogers. 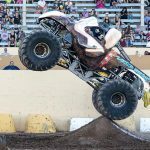 In the first of three shows on Saturday, Identity Theft got the show off to a splendid start with a one-two punch of great air and a sweet sky wheelie to get a score of 14 of a possible 20 for Best Trick. 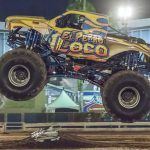 When El Perro Loco fell short by just one single point despite sick air and a great sky wheelie, the crowd openly voiced their disappointment. 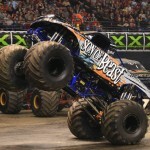 But next out was Bill Payne, who has performed as far away as Europe and Asia in years past. 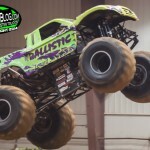 Bill followed up a great sky wheelie off the crush car with a wicked slap wheelie from one end of the floor to the other, taking the Best Trick win and Overall points lead. 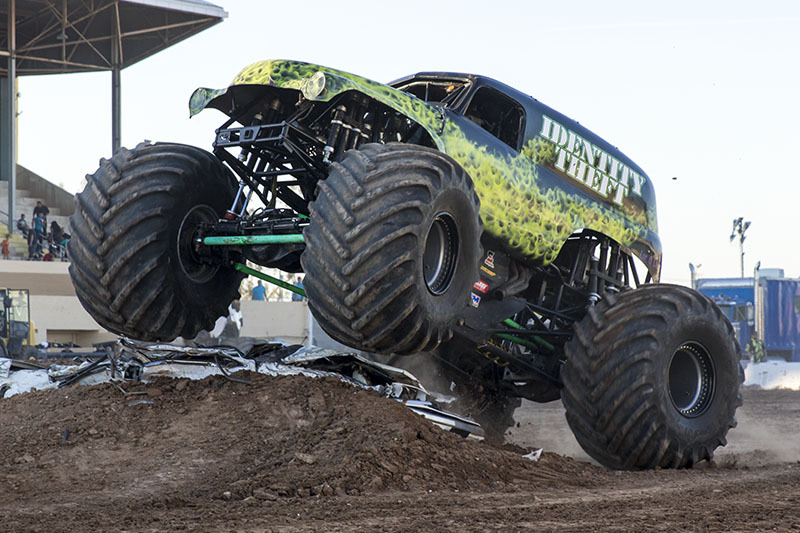 Identity Theft set the standard for those coming after by completing the course in just under 23 seconds. 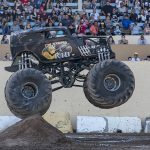 The very next pass by 10K Pound Hound proved how tough the competition was by edging out his predecessor in the order by less than one tenth of a second. 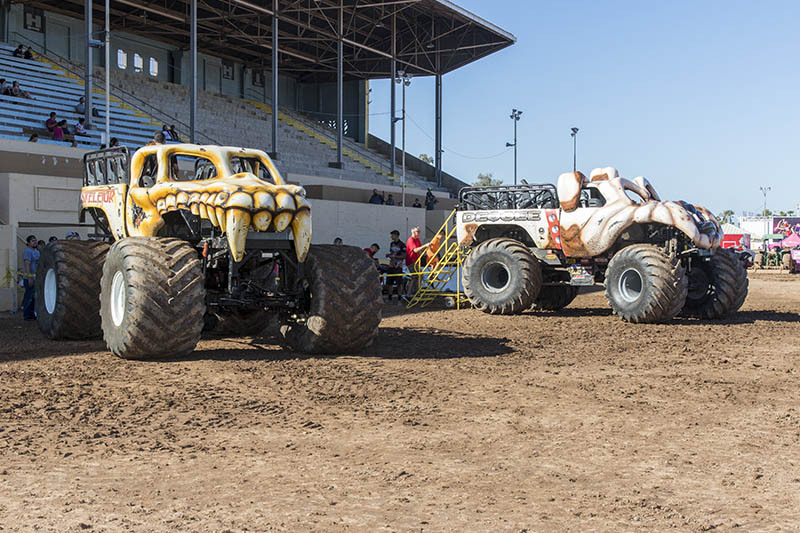 The colossal canine monster held the lead until Rock Star stormed past him on the stopwatch, reaching the finish line a whole two seconds faster with only freestyle to go. 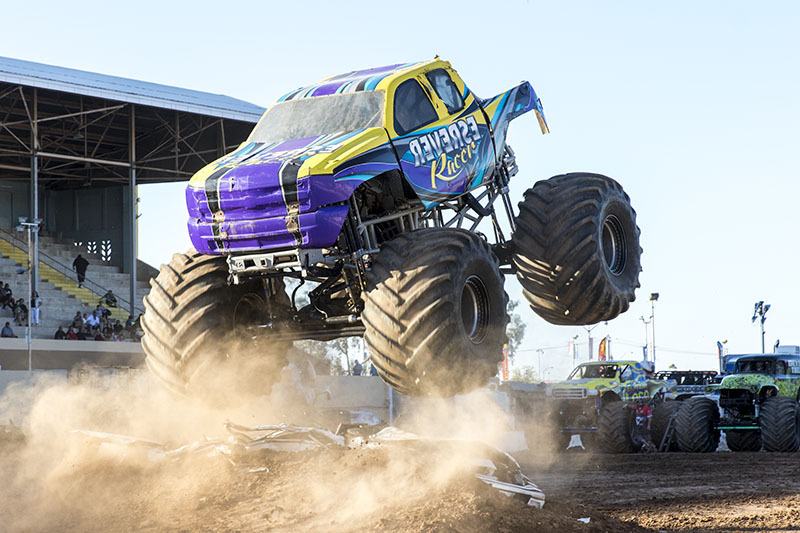 The freestyle track consisted of a jammer stack for air, a wheelie bump and the time trial finish line crush car for wheelies and the obstacle course track second straightaway offering a distance jump ramp on one side and sideways tires for wheelies on the other. 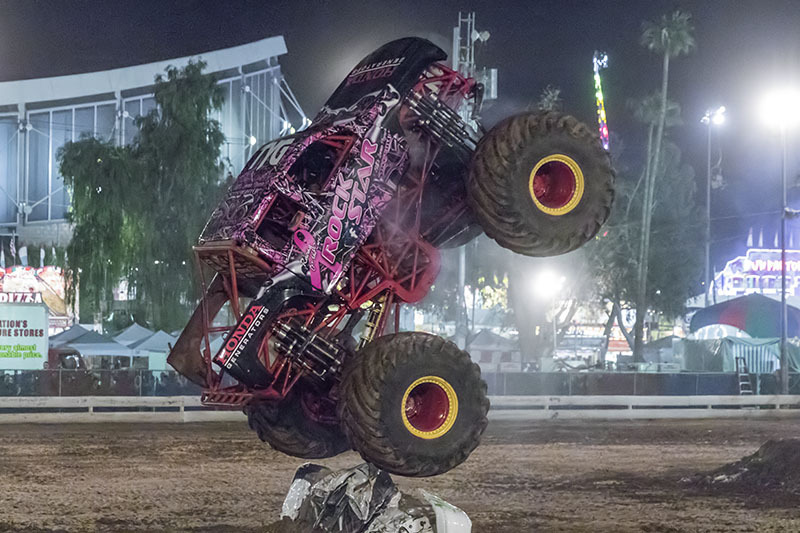 Identity Theft took advantage of his final shot for a trophy to get huge air and cross threaded the jump used as the obstacle course halfway point to stay in the hunt. 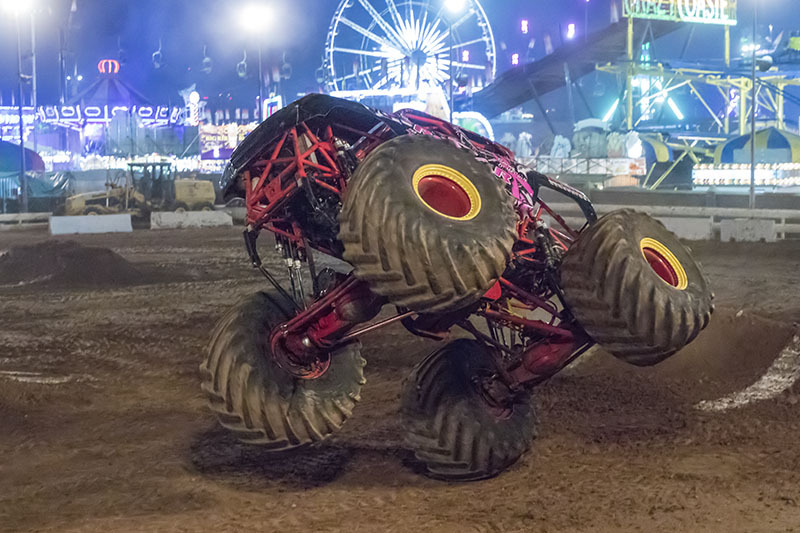 Ten Thousand Pound Hound gave admirable efforts, including decent air. 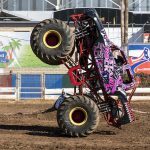 But Rock Star gave more incredible slap wheelies and hit the kicker obstacle the wrong way to get the early afternoon Overall Championship. 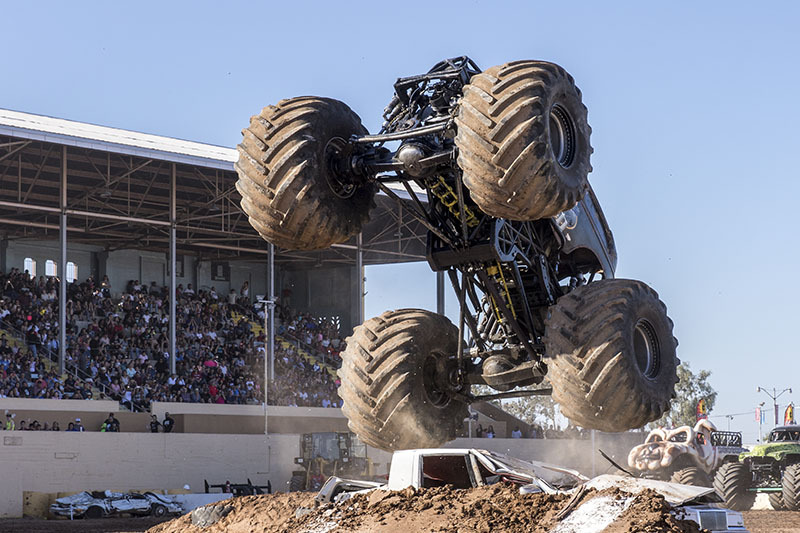 As the weekend progressed, the competition got tighter and tighter across the board. 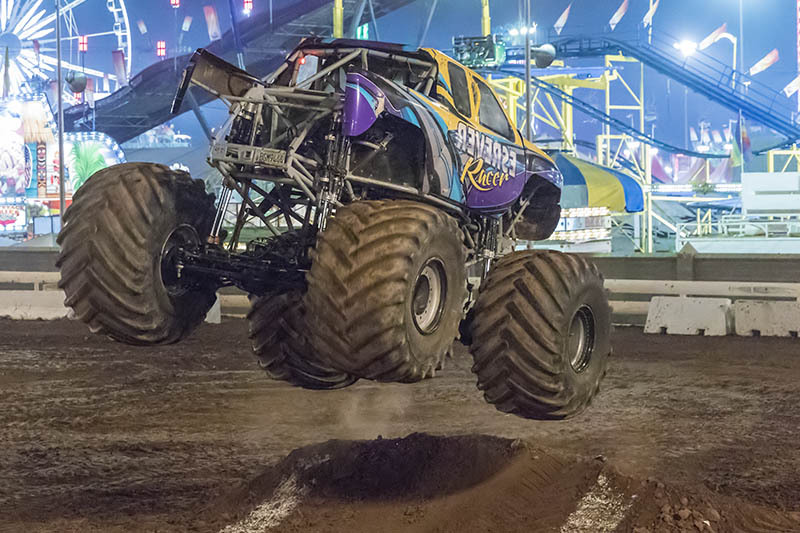 The second obstacle course competition of the day was decided by only half a second between winner Rock Star and runner-up Identity Theft. 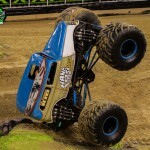 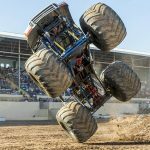 A few hours later in the evening show obstacle course race, Bill Payne finally pushed his truck too hard, breaking a steering line in the final turn of the course, causing his truck to do a complete 360 and rendering him unable to cross the finish line. 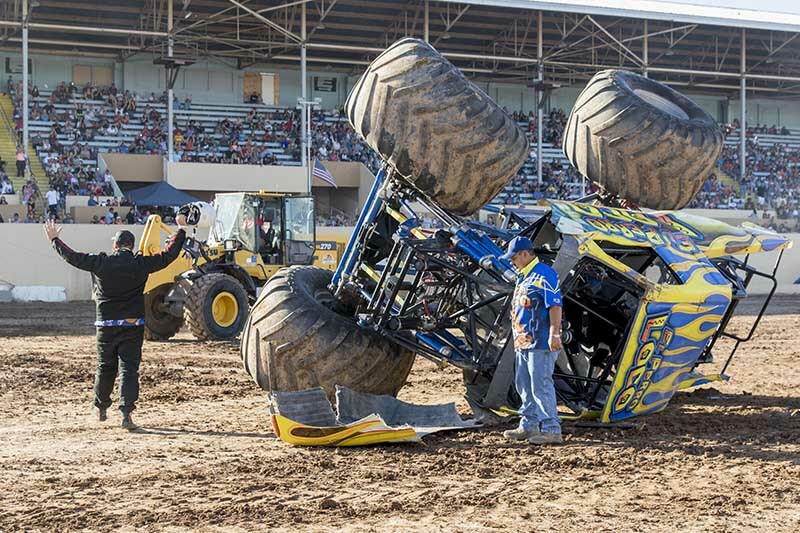 This DNF would go on to end Rock Star’s perfect streak of Overall Titles, the final Saturday win eventually going to Identity Theft. 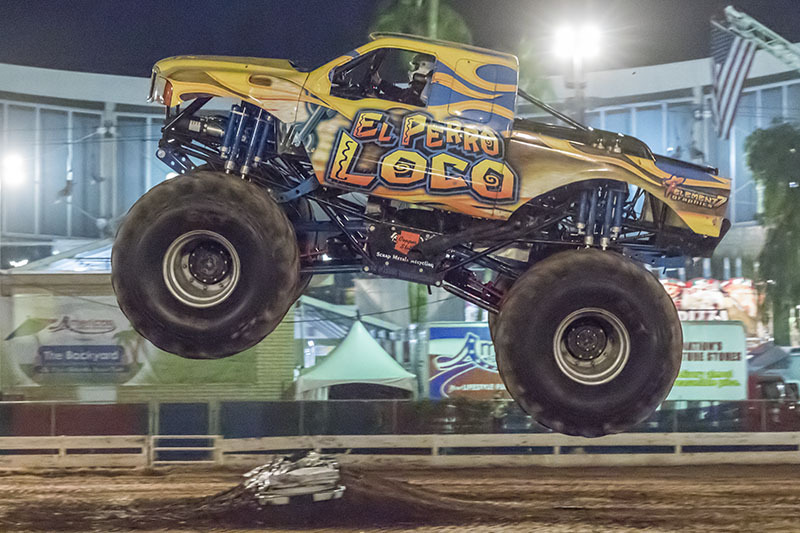 In the second to last show of the weekend, El Perro Loco was in the midst of a high intensity freestyle when an awkward landing from a sky wheelie sent him into the only rollover of the weekend. 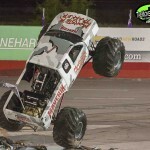 Murph was okay and the crowd roared when it was announced that El Perro had taken the freestyle lead. 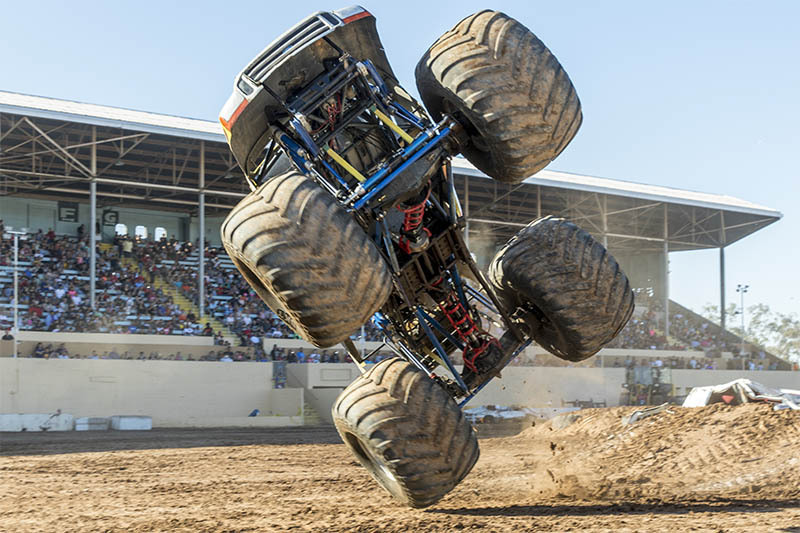 This, on top of a Best Trick win and runner-up placing in the obstacle course was enough for Murph and The Crazy Dog to finally take an Overall Championship. 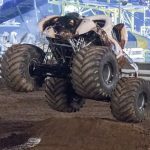 In the last Obstacle Course contest of the weekend, Identity Theft just narrowly slipped past Rock Star with less than half a second being the difference. 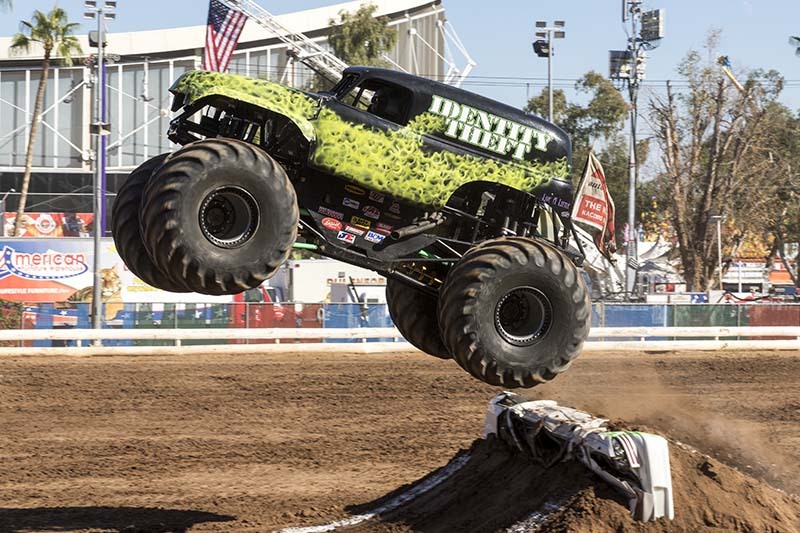 To end the weekend on a high note, Rock Star joined Identity Theft not long into the latter’s freestyle, causing All Star Productions officials to decree the two co-champions. 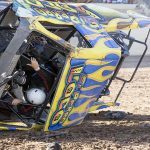 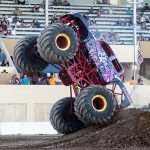 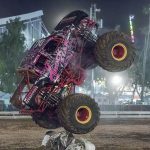 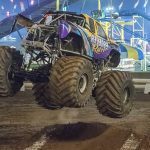 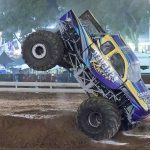 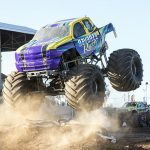 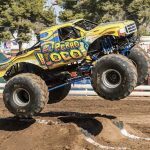 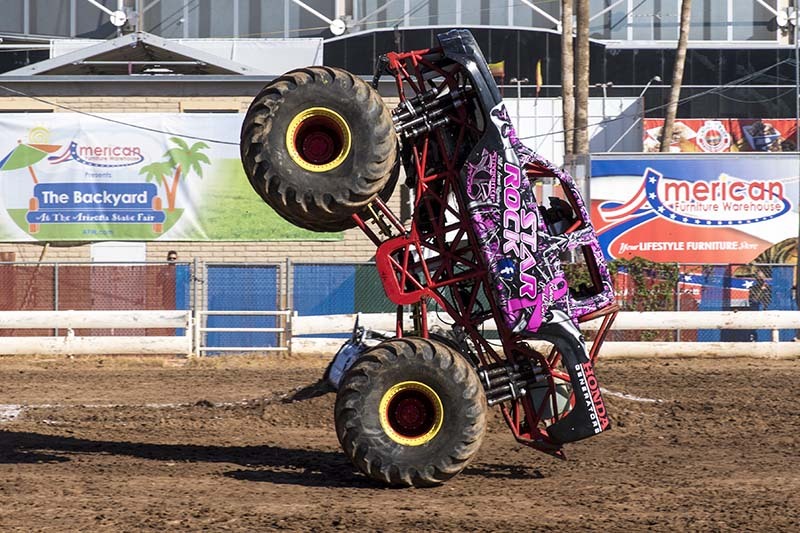 This brought the crowd’s noise level very high, marking the ideal end to both the 2017 Arizona State Fair and the last weekend of monster trucks. 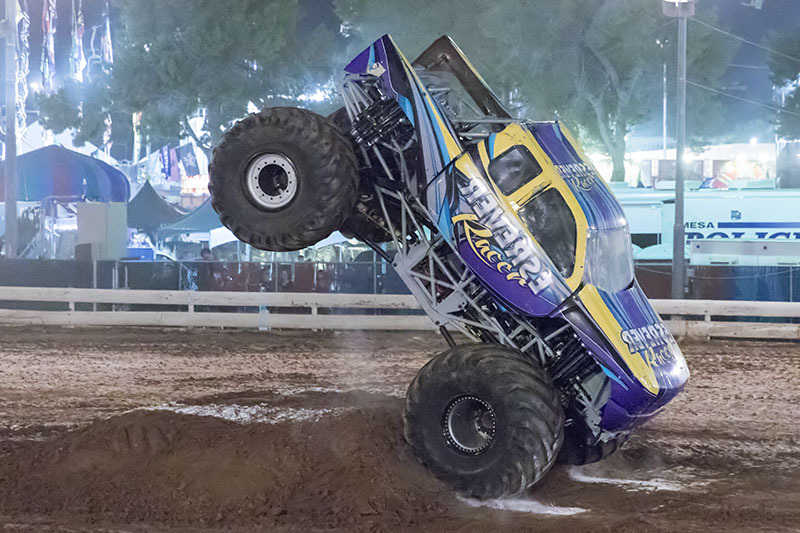 Even so, with three sole titles and one shared win across a total of six shows over three days, Rock Star handily took the Arizona State Fair Championship. 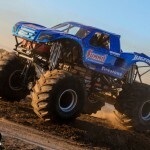 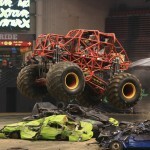 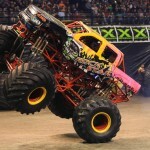 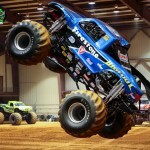 At that, the monster truck action season for us at “The Allen Report” has come to a close. 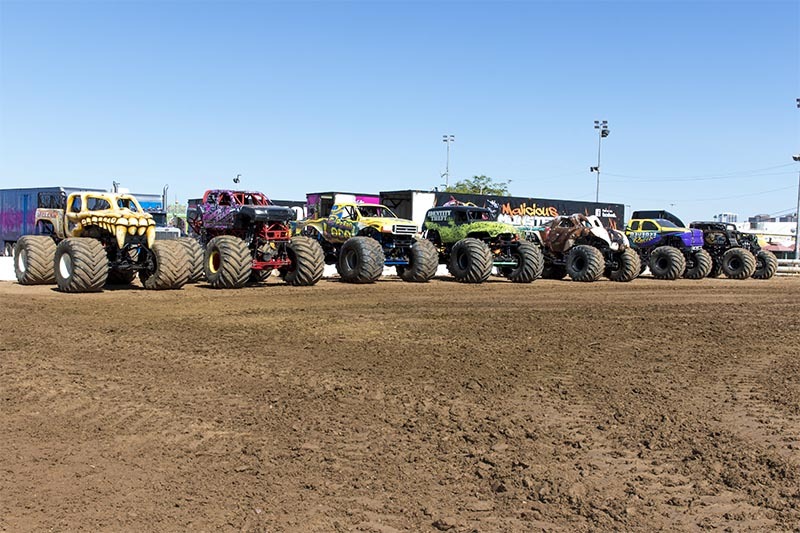 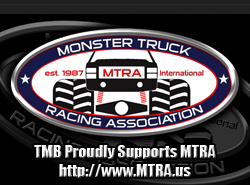 But we also begin to finalize plans for our trip to Auburn, Indiana, for one of our favorite annual events, the International Monster Truck Hall of Fame Ceremony. 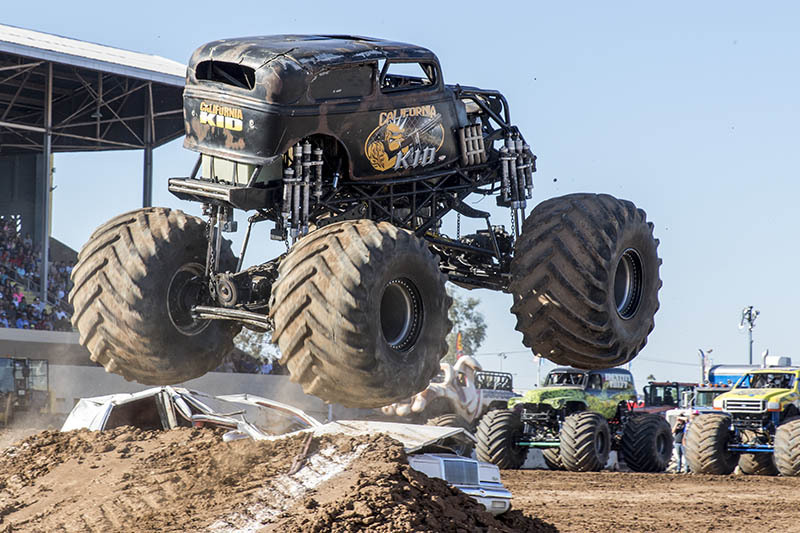 As of this writing, the number of overall display monster vehicles, weekend and full time sponsors and returning past inductees all look high, which is great news for us, as we are just as much fans of the early days of the sport as we are fans of its current state. 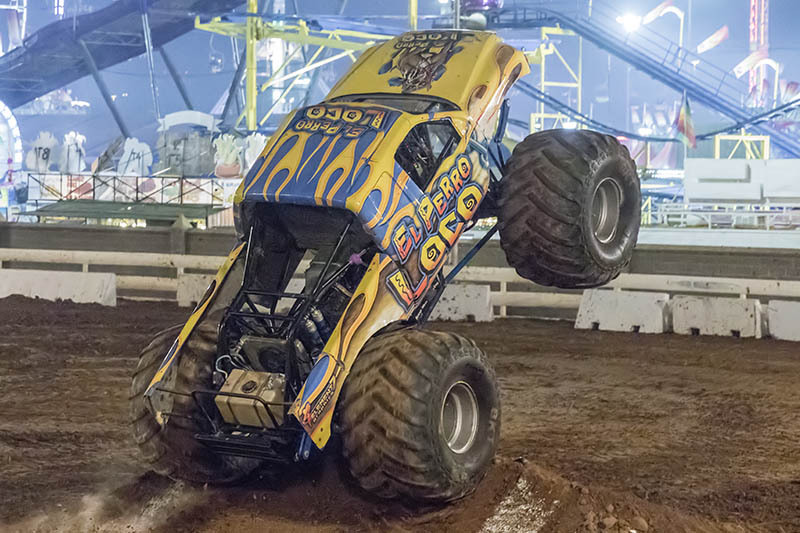 With that behind us, a special thanks to Bryan Wagner and every member of All Star Productions for allowing us to cover his events, thank you, our readers, for following our show coverage, enjoy the photos and until next year, cheer on!